The underutilized, but gaining in popularity grain. 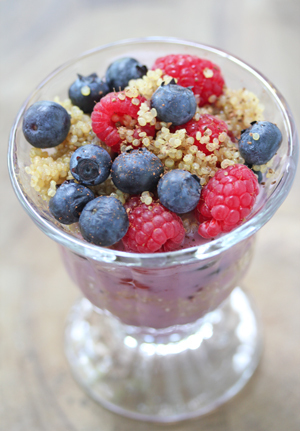 The perfect gluten free alternative for many recipes (…like the parfait above. Use quinoa, not oats.) grain. If you have not cooked with quinoa yet, I highly recommend it. It is a bit more expensive, but if you know where to look (check out the best places to find quinoa and the best quinoa prices, too! ), you can often get great deals on it! So that was 6 ways?! Not 5! 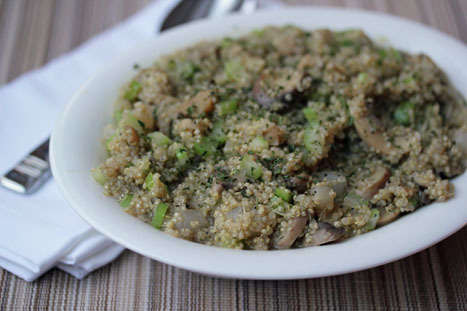 What’s your favorite way to prepare quinoa?! Would love to try out some new recipes and “mix-ins”! Thanks for this post! I recently picked some up at Jungle Jim’s and needed a few different ways to try it out. 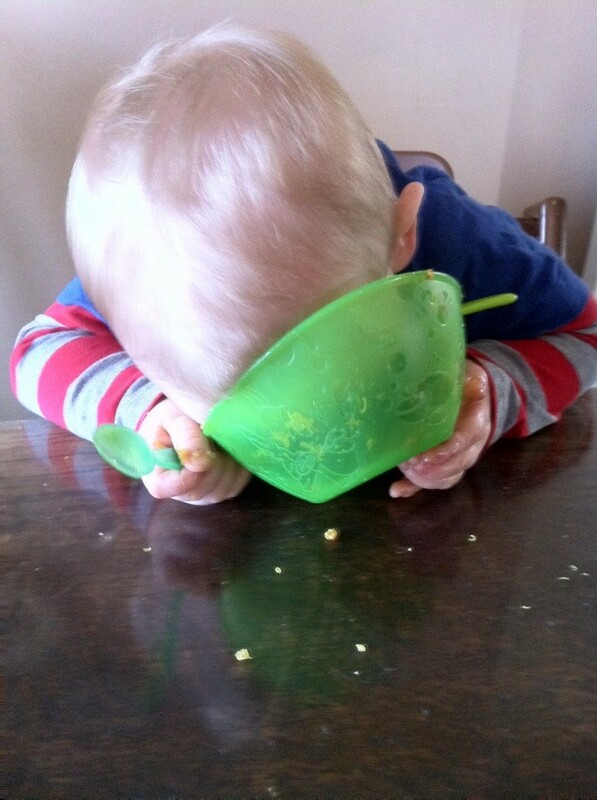 Can’t wait to see if one of mine licks the bowl too..haha! Tyler looks so cute! I recently tried quinoa and love it! I started with a simple recipe of onions, garlic,quinoa, and Parm cheese. I decided to try a new recipe not too long ago and you just happened to link to the Curried Quinoa with Chicken and Peas that very day…it was fate! I love that recipe & have passed the link on to several people for them to try it. 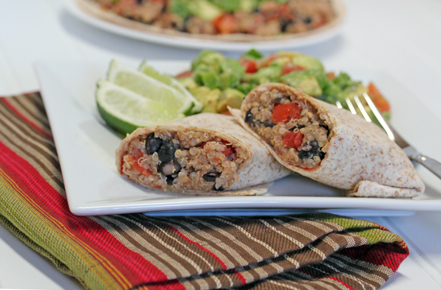 The Quinoa with Black Bean Burritos looks great – I’m going to have to try that one next! Yeah Beth! Way to branch out…and thrilled to hear that you liked the curried quinoa! I appreciate you passing it on! I love quinoa in cold salads, and I also recently used cooked quinoa as part of the starter dough for whole wheat bread – it turned out SO soft and moist! The recipe is in Cynthia Lair’s recipe book, “Feeding the Whole Family,” one of my favorites. It’s also good cooked with chicken broth (instead of plain water), and then mixed with some diced, cooked chicken , and whatever veggies you like. I think I’m gonna have to try the Quinoa Potato Pancakes! Well, we will clearly be trying the bowl licking recipe!! I love quinoa but haven’t done a lot with it yet. I’m always on the look out for some recipes that aren’t weird (aka totally over the edge health nut food). ha ha!! i’m not a huge fan of rice, i know, i’m weird. but i love quinoa, so i often substitute one for the other! Thanks for the recipe suggestions and for those posting ideas in the comment section! I’ve been looking for new ways to prepare quinoa. 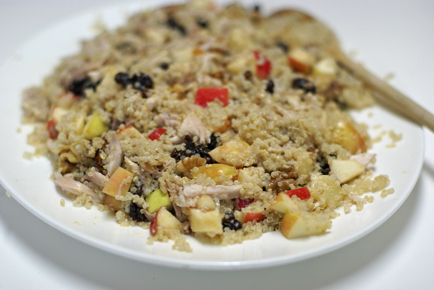 I loved your recipe for Mediterranean Chicken Quinoa! I have to make it again soon! I cant wait to try all of these recipes! Thanks! 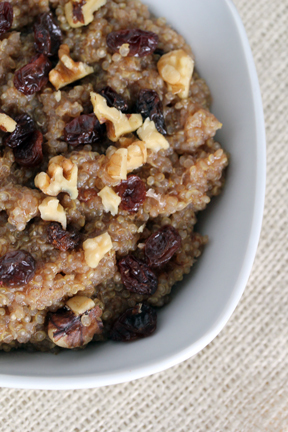 Can you make up the quinoa the night before and then reheat it in the morning for breakfast? I’ve had a bag of it in my pantry for months… keep wanting to try it for a breakfast oatmeal substitute, but I never find I have 20 minutes of patience to wait for it to be ready! Never hear of quinoa before but they do look like couscous. I need to try this soon! I love quinoa! My favorite recipe for it is quinoa and black beans with cilantro, but I have been also making stuffed peppers with quinoa, quinoa chili, and chicken and vegetable stir fry with quinoa turned out really good the other day. That curried chicken sounds good, might have to try that soon! Tonight it’s going to be minestrone with quinoa and wild rice, hopefully it turns out good.